We are looking for awesome people to join our team! TechMD is consistently ranked as one of the best places to work in Orange County, and we are committed to going above and beyond when it comes to company culture. We care about every employee’s growth, fostering a learning community, and doing everything we can to ensure a great work environment. 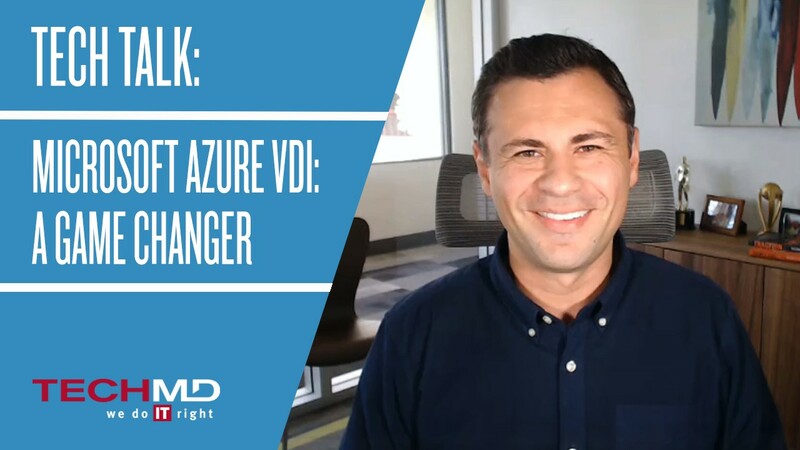 Check out the short video above that showcases what makes us different from not just other IT companies, but from just about any other company in Orange County! To apply for any of our current open positions, visit our Careers Page. If you’re looking for a better way to do employee performance reviews, consider taking a look at Trakstar. In this Tech Talk, Sebastian Igreti covers how we use Trakstar to measure, track, and report on employee performance, and why we love how it helps us manage performance reviews and maintain a customer-focused company culture. At TechMD, we believe that finding the right people for the job is central to the success of our business. On this episode of Tech Talks, Sebastian Igreti discusses how we leverage SparkHire to streamline our hiring process and help us find the right candidates. 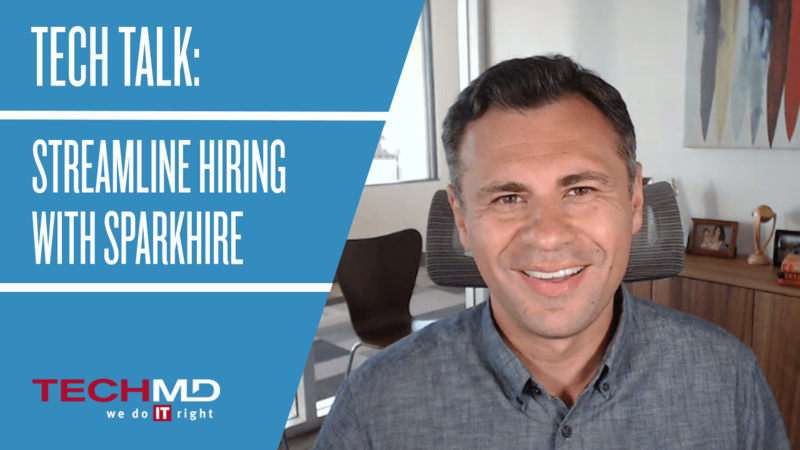 SparkHire allows you to reduce the need for time-consuming phone screens, gather quality information about candidates before meeting them in person, and easily collaborate between hiring managers. You can learn more about SparkHire at https://www.sparkhire.com. At TechMD, we care about investing in others, doing IT right, and creating a fun-loving and positive environment for our team. This mindset has been a major contributor to our success, as it has allowed us to hire and retain excellent people and, in turn, take great care of our clients. 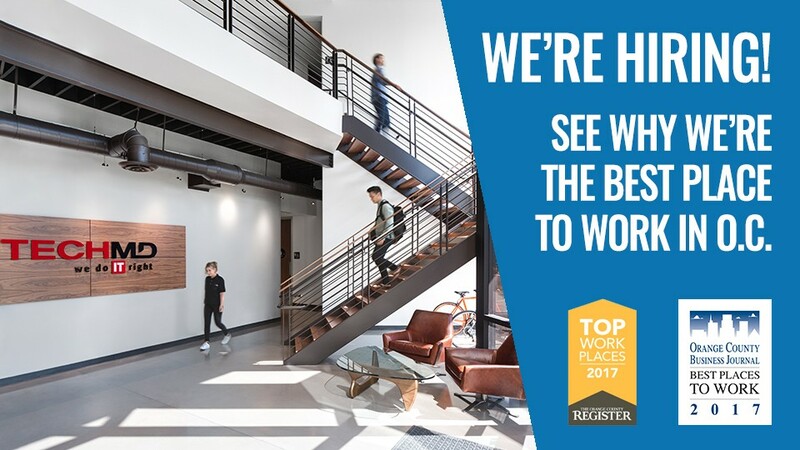 This approach to doing IT right has paid off again: we are excited to announce that TechMD has been named as one of 2017’s Best Places to Work in Orange County in the Medium-Sized Employer category! The Best Places to Work award was created in 2009 as a project of the Orange County Business Journal and Best Companies Group. The county-wide survey and awards program was designed to identify, recognize, and honor local companies that benefit the county’s economy, its workforce, and its businesses. 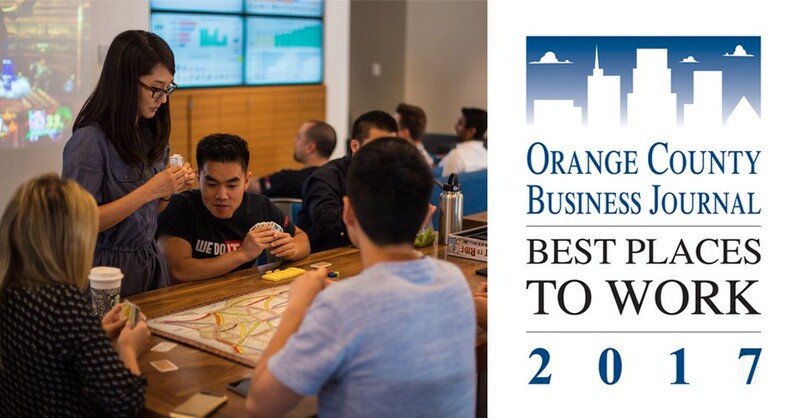 The ranking of the winning organizations will be released via a special section of the Orange County Business Journal’s July 24 issue. 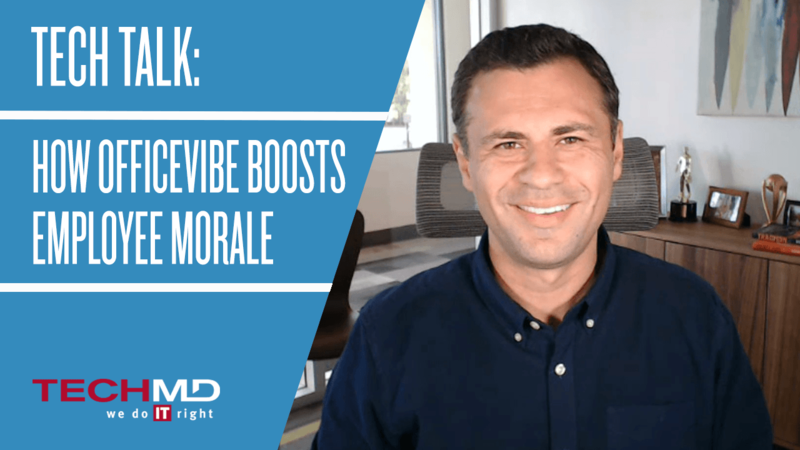 Looking for a better way to facilitate employee engagement and improve morale? 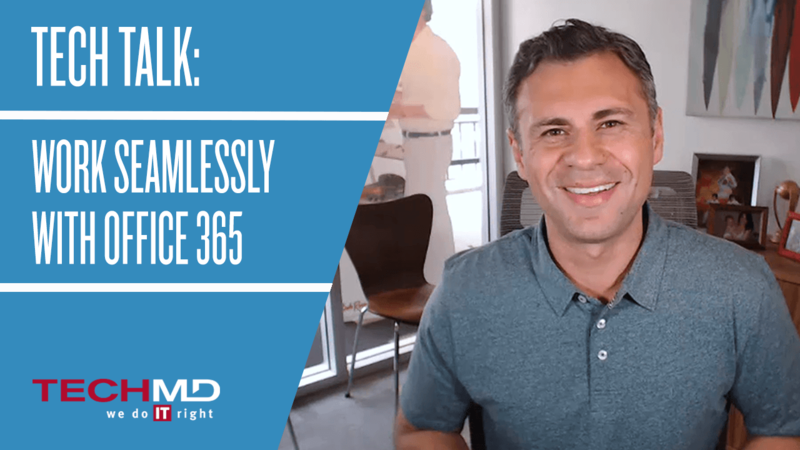 In this Tech Talk, Sebastian Igreti covers how OfficeVibe enables businesses to capture feedback from team members, provides improved visibility over employee engagement and morale, and helps business leaders address festering issues before they affect company culture. Threats and attack vectors from cybercriminals continue to evolve, and businesses need to stay on top of the changing cybersecurity landscape to ensure their critical business and customer data is protected. 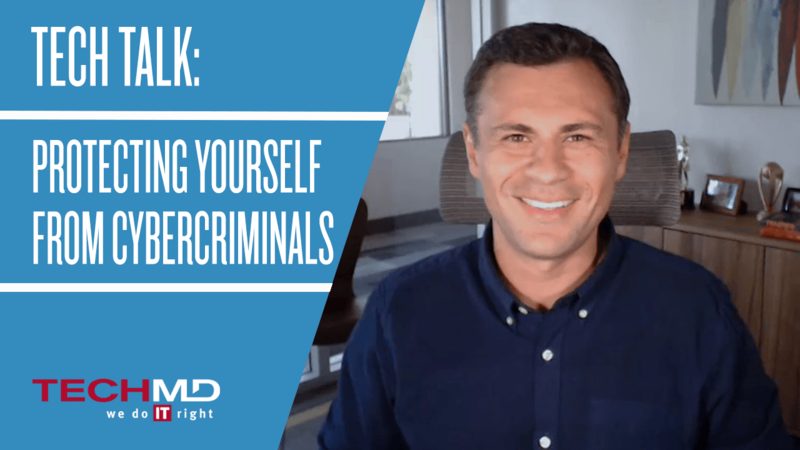 On this episode of Tech Talks, Sebastian Igreti discusses five essential steps to keep your business safe from cybercriminals. TechMD Ranked Among Top 501 MSPs by MSPMentor! We are excited to announce that TechMD was ranked among the world’s top 501 managed service providers by MSPMentor! The MSP 501 companies ranked this year include organizations from around the world and from diverse technology and business backgrounds. Collectively, they amassed $14.48 billion in total revenue (based on 2016 results), up more than 15 percent from a year earlier. We are proud to be included among these companies, and we are looking forward to continuing to innovate ways to help our clients protect their business from cybersecurity threats and move into the cloud the right way. 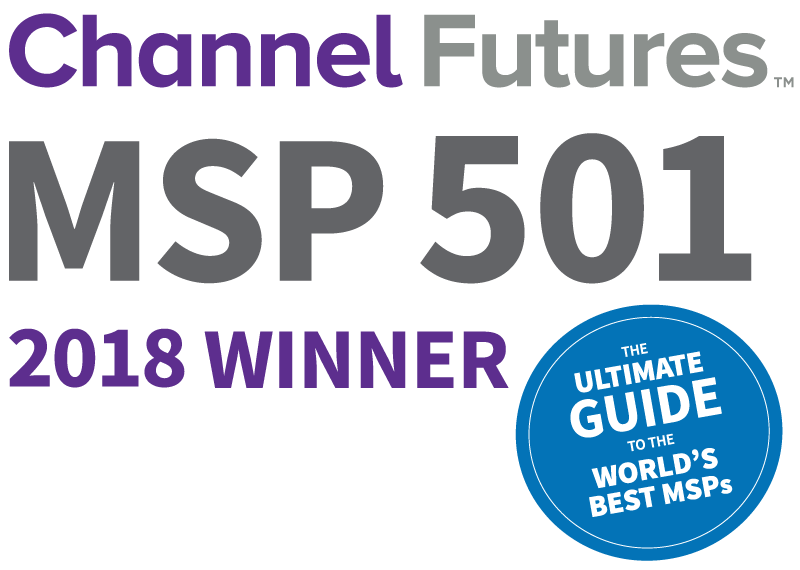 The complete 2017 MSP 501 list is available at MSPmentor.net.